I don`t Know if I can But... Here I go. If I can`t please send me a scrap that I will retire it. A little about you: MY life its like a Duel. I can`t know what comes in the next turn. Your motto: Live to play till it's Game Over. A little about you: If I lose a game, i'm not pissed. 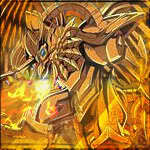 Favorite Card: too much its 3 cards horus lvl8 and TWDOR and Red Eyes zombie dragon! Level: New, Intermediate, Advanced, Expert Between new-intermediate. I win my duels, but still have to learn a lot about the rules. Age: A few days younger then 18. Team: I'm too new to have one. Tournaments Competed in : I'm too new for that either. Years Playing: Number of years since you duel A few months. Your motto: Göte giren şemsiye açılmaz. Level: New, Intermediate, Advanced, Expert New. Tournaments Competed in : Jaden Yuki and Dartz's recent BC tournaments, but mostly avoid them. Special Skills: I like to build decks? Years Playing: Number of years since you duel Seven. Country: Moldova. Live in US. Your motto: None. Mottos are silly. Hatred Deck: Demise OTK, Evil Hero Dark Gaia OTK, Frogs, Hopeless Dragon. A little about you: I just filled out like ten lines of questioning? A little about you:Just ask in my dorm room If you want it. Tournaments Competed: DA- Misspelled, Ra dorm leader, DAD dragon, SDA KCVDS, and some others but they are to long away from the current time to remember. Special Skills: Very active, and kind to all duellist that show respect to others, honorfull duellist, Ra dorm Leader lol, always having fun. Your motto: Never Back down !!! Special Skills: Always trying new decks, reading articles, ect. A little about you: I'm me! Team:[FE] and im glad to be one of it. Favorite Card:Defender The Magical warrior. Key Card:Gorz The emissary of darkness. BC Name: " .:Heatseeker:. " Your Motto:Never Drink And Drive, You Might Spill It. Your motto: C'mon, lucky draw!